This is from Rick Warren’s classic book on church marketing, The Purpose Driven Church: Every Church Is Big in God's Eyes. Go inside a "payday loan" place and you’ll see similar targeting. It's not listed like this or even mentioned, but it's everywhere within the marketing materials you'll see. Why? Because marketing to specific target markets works. A church can be helpful to people. Sometimes, payday loans are helpful to people. 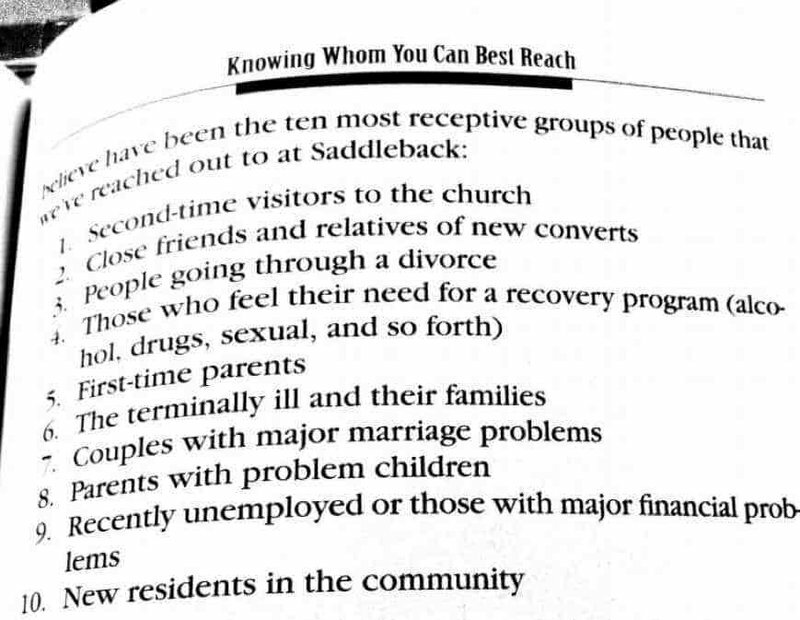 Yes, Saddleback Church is targeting people who are going through difficult times. Yes, a payday loan store is targeting people who are going through difficult times. Each provides a solution. Maybe not the perfect solution, but something. Your podcast likely does the same thing. If so, why hold back on your marketing ? 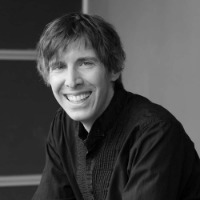 If you can really help people, even in an imperfect way, why play small? There's too much noise in the world and too much competition from other podcasts to think that people will somehow magically discover your podcast on their own. If you've got a podcast that will help the people who listen to it, you need to let them know it exists and how it can help them. It's simple, but it's not easy. If you do it though, it will grow your podcast. Daily outreach to the people who can benefit from your podcast. That's it. Every single day. How you do it doesn't matter. The important thing is you target the right people, either the people who should be listening to your podcast or people who have access to people who should be listening to your podcast, and be consistent about reaching out to them and letting them know what you have to offer. If your podcast can help people, don't hold back. You're not serving people by being timid.